ASHRAE is seeking public comment on Guideline 12-2000, Minimizing the Risk of Legionellosis Associated with Building Water Systems. Public comment is now open for a 45-day public review until Sept. 11. Those interested in reviewing and commenting on the guideline can do here. Developed by the ASHRAE Standing Standard Project Committee (SSPC) 188, ASHRAE Guideline 12 is intended for use by building owners of human-occupied buildings and those involved in the design, construction, installation, commissioning, management, operation, maintenance and service of centralized building water systems and components. The guideline will provide essential information and guidance to assist in the control of Legionellosis associated with building water systems. It also gives users direction in implementing ASHRAE Standard 188: Legionellosis: Risk Management for Building Water Systems, which is consistently recognized as the best resource available to help establish an effective water management program to prevent Legionella infections. The CDC estimates there are between 8,000 and 18,000 cases of Legionnaires’ disease in the United States each year – and more than 10 percent of these cases are fatal. Most of those cases are the result of exposure to Legionella associated with building water systems. ASHRAE Guideline 12 is a continuous maintenance guideline with updated versions planned for publication every three years. Click to make a comment or learn more. 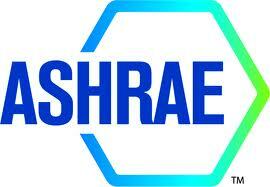 Visit and to learn more about ASHRAE Standard 188.